Get My Free $20 Now! Since the day it opened its doors in the summer of 2003, the Borgata Hotel Casino & Spa has never lost its spot as the highest grossing property in Atlantic City. The Las Vegas-style mega resort was built to attract young, hip and wealthy consumers who would otherwise be uninterested in the day trips popular with many of the region’s budget-minded gamblers. The casino was funded as a joint venture between MGM Mirage and Boyd Gaming, and was fully acquired by MGM Resorts International in July 2016. Borgata Online Casino is Borgata’s online gambling offering which, much like its brick-and-mortar business, has risen to the top of the pack, raking in more all-time iGaming profits than any of its competitors. Borgata wasted no time in securing its online gambling permit once Gov. Chris Christie gave the industry the green light. In fact, the site was quick to partner with gambling software provider bwin.party, and became the first NJ casino to be approved for an Internet gambling license. Apart from casino games, Borgata offers online poker via the BorgataPoker.com domain, where it shares player pools with its sister sites, Party Poker NJ and playMGM. 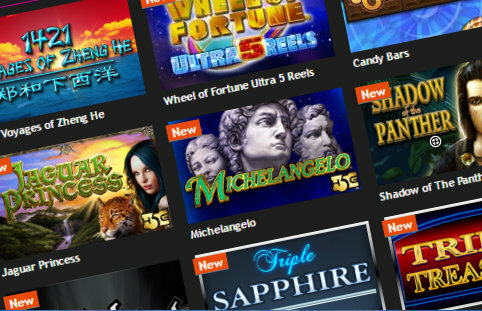 The casino is also partnered with Pala Interactive, which operates the eponymous Pala Casino and bingo website under one of Borgata’s five licenses. In this review we’ll focus on Borgata Online Casino only. Create a Borgata Casino online account using the links on this page, or the bonus code below, and get $20 absolutely free. When you make your first real-money deposit, you’ll receive an additional bonus of 100% of the deposit amount, up to $600. Claim My Free $20 Now! 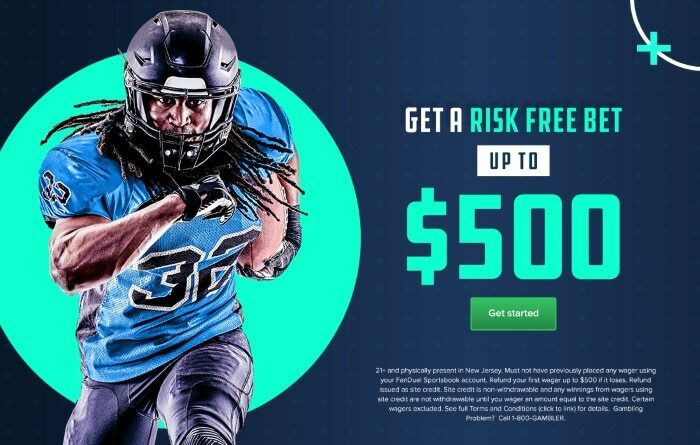 Both the $20 free money sign up bonus and the deposit bonus are subject to a 1X wager requirement, meaning that you’ll need to wager $1 for every $1 in bonus money before the cash is released to your account unrestricted. Only play on slots, classic slots or progressive slots counts towards the wagering requirement. What are the best things about Borgata Casino? Virtual and real-world benefits: the site’s iReward Points loyalty program is robust and features a multitude of different rewards, including frequent promotions giving extra bonuses based on your current tier. 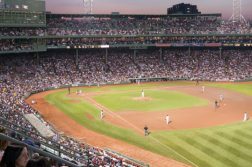 The program also offers exciting promotional tie-ins with the Borgata Hotel Casino & Spa, the leading casino in Atlantic City. Fair game selection: while Borgata’s slots collection is about average for the market, it has an above-average library of 14 jackpot slots. There is also a wide range of blackjack and video poker games available, and the site has recently added Live Dealer games. Software versatility: players can choose to play either directly from their web browser or through the dedicated software client, or on iOS or Android mobile devices. While specific desktop clients were more common when online casinos first launched most newer sites lack them, and several still favor one mobile OS over the other. Welcome bonus: with a deposit match of 100% up to $600, Borgata’s welcome package is decent for the market. While there are definitely larger total bonuses, Borgata offers a lower wagering requirement than others: 10X the bonus amount bet. Also included is a $20 no-deposit bonus (only applicable towards slots). What are the worst things? The site’s table game selection is underwhelming, especially considering the pedigree of the brand. There is still no PayPal option available. Borgata’s suite of online casino games features a large collection of slots, twelve video poker machines and a mix of table games like craps, blackjack, baccarat, roulette and Texas Hold‘em Bonus Poker. Players can choose from an extremely diverse catalog of 379 online slots, provided by well-known developers like IGT, NetEnt, WMS and Konami, which feature a dizzying array of bonuses and payline structures. Here you’ll find games based on a wide variety of themes which can fit virtually any mood, hobby or interest. Feel like going on a trip? Travel back in time to ancient Egypt in Cleopatra, or fly out to Mexico and celebrate with the locals in Day of the Dead. Or would you rather party like a rockstar, and hang out backstage with Slash and Axel in Guns ‘N Roses? Also known as progressives, jackpot slots collect a small portion of each bet and add it to one central prize pool. These types of slots are extremely popular because they offer players a chance of winning a life-changing score for the price of a small wager. Loot’EnKhamun: This creatively titled progressive slot features the Big Series Jackpot, which is comprised of five jackpots at different levels. The main jackpot can be triggered randomly, but the more you bet, the better chance you have of hitting it. Melon Madness: This fruity 30-line slot is also connected to the Big Series Jackpot and features a free spins mode with bonus multipliers. Biker Pigs: Another Big Series jackpot slot which boasts a Biker Pigs Free Spins Feature when three or more scattered Bike symbols appear. Candy Store: This 30-line slot is connected to the Ca$h Fla$h Jackpot, which can be won even when you don’t hit a winning match. Money Boat: You might be able to buy your very own megayacht if you’re lucky enough to trigger the Ca$h Fla$h Jackpot in this 5-reel progressive. Pirates Booty: Find the buried treasure in this Ca$h Fla$h Jackpot- connected game and sail off into the sunset with a boat full of booty. Borgata Casino has also added the screamingly popular Divine Fortune slot, becoming one of the last online casinos in New Jersey to adopt the Ancient Greece themed game. Borgata Online Casino offers a wide variety of blackjack variants, each with its own subtle differences in the rules. Multi-Hand Blackjack Pro: This “Pro” version allows you to bet five hands at the same time. Blackjack (IGT): Single hand game that returns a generous 99.6% to the player. Blackjack (NetEnt): Play up to three hands at once. Vegas Downtown Blackjack Multi Player: Play with multiple people at the same time in this variant. European Roulette Pro: the better of the two, thanks to the lack of the 00 pocket. Texas Hold ‘em Bonus Poker: Poker aficionados will enjoy this game, in which players face off against a dealer and try to make the highest five-card hand possible. With the choice of 12 different video poker titles provided by the likes of gaming pioneer IGT, Borgata Online Casino video poker fanatics will not be disappointed. Game King Five Play Draw Poker: This suite of games gives you the option of playing nine different video poker variants on the same machine. Game King Bonus Poker: One of the most common and popular forms of video poker. Game King Double Bonus Poker: Offers big payouts for four of a kind hands. Game King Jacks or Better Poker: Created by IGT, this is the original game which sparked video poker’s popularity. Game King Triple Play Draw Poker: Choose from nine different games and play up to three hands at a time. Unlike other NJ online casinos, Borgata does not offer a rotating schedule of bonus offers at the moment. The site currently has a promotion running which randomly awards 20 players with $25-$100 in bonus cash each Friday. Borgata is also taking advantage of its stellar brick and mortar property by giving away one Borgata Experience each week, which includes a free night at the hotel, dinner for two and tickets to one of the casino’s shows. Red Label: This is your starting point for the month. As soon as you start playing for real money, you will achieve red label status. You’ll earn $5 in Comp Dollars at the Borgata in exchange for 100 iRPs, $25 for 5,000 iRPs, and $25 in bonus cash for 4,200 iRPs. Red Label Plus: Once inside the second loyalty level, you’ll earn $5 in Comp Dollars at the Borgata for 88 iRPs, $25 in cash for 2,500 iRPs, and a $25 casino bonus for 2,000 iRPs. Silver Label: Move up to the silver level and get $5 in for 75 iRPs, $25 cash for 1,560 iRPs, and a $25 casino bonus for 1,400 iRPs . Black Label: Earn 2,500 points in a month and you’ll be treated like a true VIP. Earn $5 in comp dollars at the Borgata for 72 iRPs, $25 in cash for 1,250 iRPs , and a $25 casino bonus for 1,000 iRPs. Black Label Elite: With 15,000 points you’ll achieve the highest possible level in the program and receive the best perks. You’ll enjoy a one-time free hotel room at the Borgata and earn $5 in comp dollars for 66 IRP’s, $25 in cash for 937 iRPs, and a $25 casino bonus for 400 iRPs. While online gambling is completely legal in New Jersey, some payment processors have been known to reject deposits made to iGaming sites. To make sure that players can deposit or withdraw funds to their Borgata Casino online accounts, the site offers the following nine deposit methods. VIP Preferred eChecks: Most recommended option, make a deposit instantly through your VIP Preferred account after linking an eligible bank account. Online banking transfer: Use the bill pay function of your online bank account to deposit funds. Borgata Online Prepaid Card: Enroll and receive a prepaid card with which you can make your deposit. Pay Near Me: Deposit your cash at a local 7-Eleven store. MasterCard/Visa: Deposit with your credit card. Skrill: This is an online wallet which you can fund using credit cards, debit cards or bank transfers, then send to your Borgata account. Borgata cashier: Take your cash to the cashier’s cage at the Borgata itself. Make sure to take your ID and account information. Neteller: Another online wallet option which gained popularity with online gamblers several years ago. Borgata gives you the ability to access and play its games from nearly any device. Web browser: Play directly from any major web browser by clicking the Play in Browser tab of the Borgata website. Software client: Download the Borgata software client to your computer and play directly through the program. iOS/Android: Play right from your smart phone with the Borgata mobile app. A limited, but large number of slots and table games are offered on iOS and Android. Contact support 24/7 via email ([email protected]) or by phone (+1 877 448 5833). The site offers a frequently asked questions resource page, but does not appear to provide a live chat option, as some of its competitors do. Borgata Online Casino features jackpot slots galore, a large video poker library and a wide variety of blackjack variations. The site boasts a very robust loyalty program and offers players exciting promotional tie-ins which take full advantage of the Borgata’s brick-and-mortar hotel and casino. In short, the site ranks near the top on our list of the best NJ online casinos. Robert is a veteran writer and analyst for the gambling industry, with a particular focus on the emergent US online gambling market. An avid poker and gambling enthusiast, Robert offers unique perspectives from both the vantage point of the player and industry professional, and is fit to cover a broad spectrum of topics. 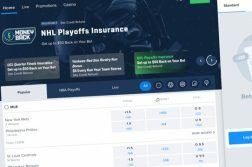 Why Is FanDuel Pulling Away From DraftKings In The NJ Online Sportsbook War?